Calling all Independent Music Teachers! 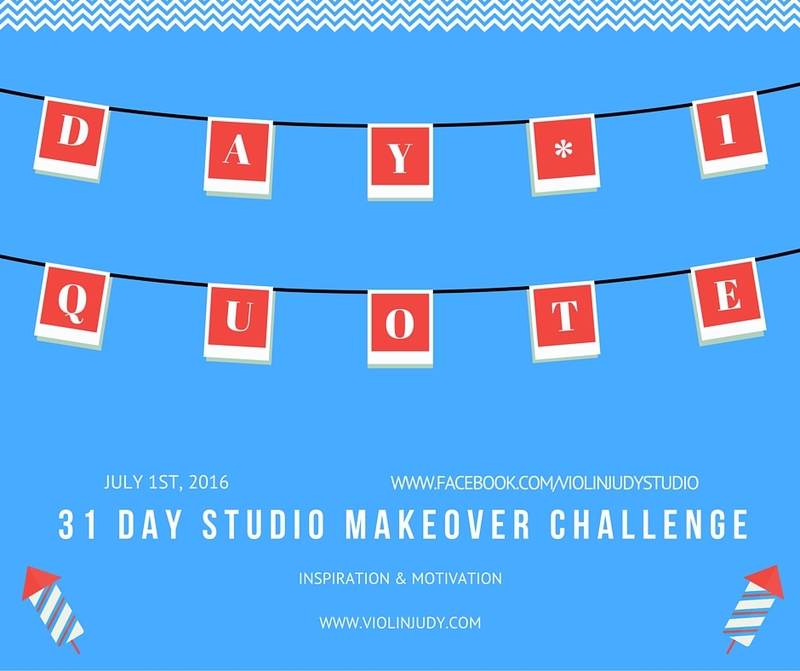 Join me starting today for an AMAZING 30 day studio makeover challenge with an online celebration July 31st! Just spend a few seconds checking www.facebook.com/violinjudystudio or back here at the teacher talk section of www.violinjudy.com for your new daily challenge. Ecah task will take from 5-45 minutes daily and is designed to create a renewed teacher YOU; mind body and soul. Do you hear the siren call of teacher supplies in August and get excited to find new ideas about teaching? Are you slightly depressed at your dwindling studio roster after the plague of the “we’re taking the summer off”students? This challenge will help you get a jump start on getting your creative juices flowing and make you look forward to teaching again, whether you have students in the summer or are taking a much deserved break. We will make connections with other Independent Music Teachers (IMT’s) and go shopping (even if it’s in our house for an item to be repurposed) have lots of healthy snacks (and some treats) while we complete tasks, practice and swap ideas for being GOOFY with kids and so much more! You’ll be ready to hear those “same old songs again” (and have ideas for some new pieces) come August with a smile and renewed spirit! I’ll be live today on facebook to help you get you started! P.S. Try to check in first thing in the morning so you will be able to find time to have fun with these in your schedule! 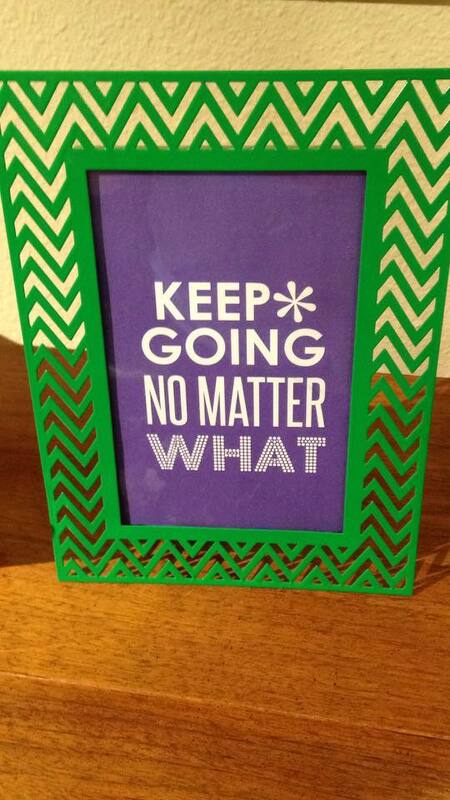 Find a motivational quote that will be your MOTTO for the next year.… print it (or take it to the copy shop) and frame it. Place it where you will see it. (Mine is this nice postcard sized print that came with my last Erin Condren Planner…i’ll be talking more about my planner on Sunday!!) You can find a frame now and hand design your own awesome quote to hang If you have zero skills as far as making a nice design to print, don’t worry, we will be covering that in a few days. 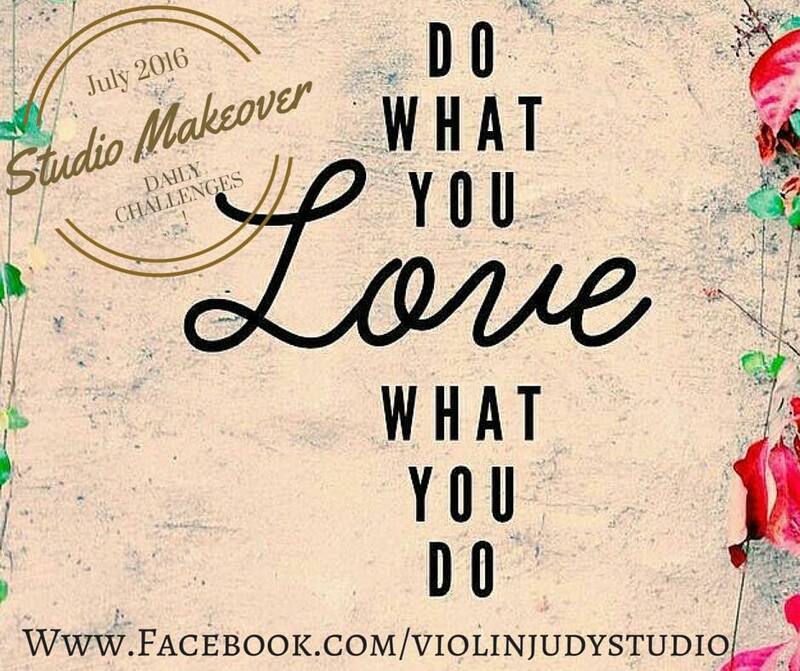 Be sure to like and follow me at www.facebook.com/violinjudystudio and join my email newsletter group for the 30 Day Makeover Reminder Emails! Thanks, Judy! That sounds like a lot of fun.